In a world where specialization is the norm and you can be bounced around from one appointment to the next and sometimes vision can get narrowed and that can be dangerous...for you. 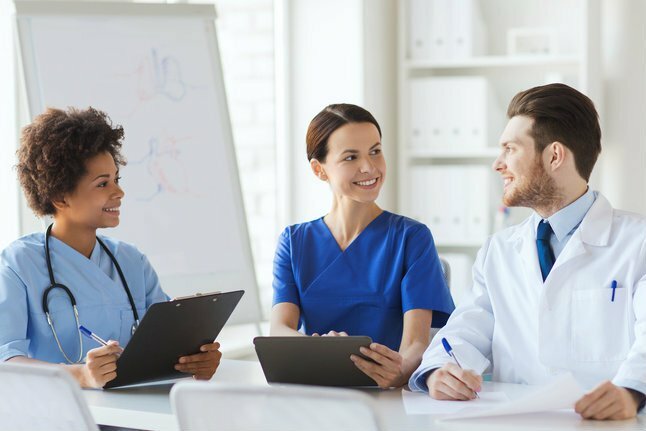 Having a team that works together and collaborates for your health can be one of the most `powerful things in healthcare, wellness and performance. This article's purpose is talk about how that inter professional collaboration, what you should look for, and why it'll benefit you. I believe one of the best things about inter-professional collaboration is that it can benefit the patient the most and at the end of it all, that's what is important. This can occur mainly because for professionals to work together and build off of each others knowledge base they have to check their ego at the door, this is paramount. Having the practitioner be able to look outside themselves and ask for assistance and another point of view means the world to getting something figured out to help the patient. As the patient you should look for a practitioner that works in an integrative practice as then they have those instant resources. That isn't always possible to find so looking for someone that has gone outside what their deemed 'comfort zone'. While we do believe that being a 'jack of all trades' can be beneficial we also think that at some point you either need to specialize to benefit the patient or be able to refer our in order to match the person with who they need to help benefit them the most. Inter-Professional collaboration is an in-vogue term bouncing around the medical profession but at no time has it been more important. Finding a team that can put your interest first and their ego behind them is best for you and anyone else that they come in contact with. Practitioners, know what you know and know what you don't know. Patients, find someone that is willing to ask the question and puts your health first.